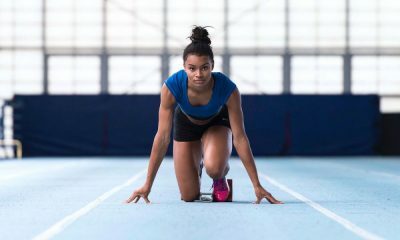 With a summer full of hope on the horizon, Imani-Lara Lansiquot says it’s important to understand your short and long-term goals if you want to appreciate the progress you do make, whether big or small. So it’s now May and it’s crazy how quickly this year is flying by. Luckily, I was able to spend the majority of April on the sunny island of Tenerife! Not as glamorous as my fellow ‘class of 2018’ Commonwealth-ers, but, still an opportunity to train in the sun and get a break from the hustle and bustle of London. I made a vlog with Sky Sports’ Scholars recording all of my experiences which will be out soon, so keep an eye out for it. While away the content of training didn’t really change, but the new environment and the added heat has a big impact on the quality of training. 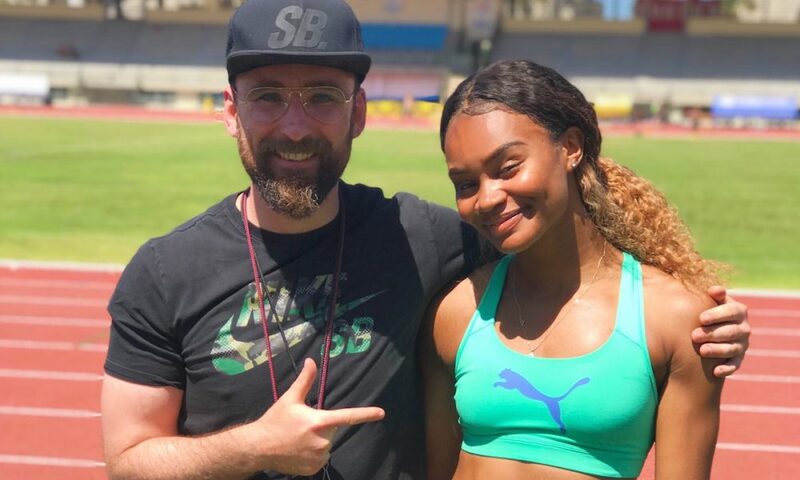 I found that it allowed me to have a clear mind going forward into the outdoor season, where I was able to hone in on my training objectives and uni assignments away from all of the travelling across London. 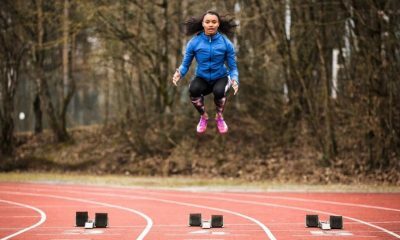 My main training objectives were to sharpen up my upright running skills, and build on the improvements to my block start that I had made during the indoor season. I was really glad to have made some headway with these during the camp, returning back to London with a lot more confidence and clarity in the way that I want to approach my forthcoming races. In terms of uni work, I think every athlete leaves for a camp with the false pretence that every day will be a strict regime of revision vs. training, but every single one will tell you that this very rarely happens (I mean, the beach was literally across the road!). As a result, it was tricky for me to stay motivated on revision out in Tenerife, but nevertheless, I got four assignments complete and was I happy with that. The buzz-word I have decided on for April is ‘context’, as the countdown before the outdoor season begins. This is a weird purgatory-like waiting time for most athletes, because even if training is going really well, the opening race can honestly go left or right, and in most scenarios, it isn’t a true reflection of your final form for the season. It’s important to recognise the realistic goals as well as aspirational goals in your venture towards success. This isn’t to say that one shouldn’t “dream big” or “defy expectations”, but you should not ignore the smaller goals you achieve or when you exceed smaller expectations. For example, in my first 100m race of the season, I might aspire to open up with a time that betters my PB, but I also have to appreciate that my fastest ever opening time is two tenths slower than my PB! Make sense? It’s important to believe in your potential, but you won’t reach it if you’re not your biggest fan through the different scenarios that life throws your way. I’m now looking forward to approaching this season with context in mind, and being better than the old me in smaller situations as well as big ones! Another (quite horrible) “contextual” factor for me in May will be the dreaded exam season, that clashes a bit with my first races of the year. No doubt it will be a stressful time, and I’m ready to put the first portion of my race season and my exam results into context, as I’ve never had to manage such a busy schedule before. Despite this, I am quite proud that I’ve made it this far and have only three weeks left in my first year at university! After exams, I’m looking forward to having an even clearer mind (and more sleep) towards the outdoor season. My main performance aims are to build confidence in my race plan and to make my first senior international team. I’m also looking forward to racing a few 200m’s this year, adding some *spice* to my race schedule, and also to improve my bend running and speed endurance! It should be a busy month ahead, but also exciting! 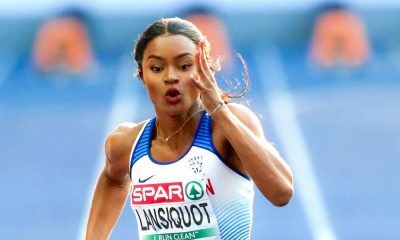 Imani-Lara Lansiquot features in the ‘Fast 10: class of 2018’ and will share her running journey throughout the year. 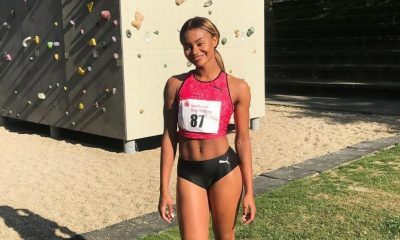 You can read Imani’s previous posts here and further information about the ‘class of 2018’ can be found here.